Until a person is 18 years of age, the legal age of majority in Virginia, their parents or guardians have the right to both custody and control. They have legal responsibility to provide the child with shelter, food, clothing, medical care, supervision, and education, and are legally responsible if the child breaks the law. Once a child reaches the age of majority, however, the parents’ legal responsibility ends. There are, however, some circumstances under which a child or even parent/guardian may seek to have a child declared “emancipated” even though the child has not yet turned 18 years of age, so long as the child or the parent/guardian is able to convince the court that emancipation prior to age 18 serves the best interests of the minor child. How does the Emancipation Process Work in Virginia? In Virginia, a minor child of 16 years of age can petition the court to become emancipated. The parents or custodians are thereby made respondents and given notice of the petition. In addition, a parent or guardian of a minor child may also ask the court for emancipation. A petition for emancipation must be initiated by a legal filing with the Juvenile and Domestic Relations District Court for the county of city in which either the minor or his/her parents or guardian resides. It should contain the minor’s gender, and if the petitioner is not the minor, the name of the petitioner and his or her relationships to the minor. The court will appoint a guardian ad litem to the child, as a matter of law, which is a licensed attorney trained and approved by the court to serve as a legal representative to a minor child. Depending on the circumstances, the court may also appoint an attorney for the parents or guardian. The court may require that the local Department of Welfare or Social Services, or another agency, investigate any allegations within the petition, and report back to the court. A hearing will then be held with all parties present. Emancipation may be declared following the hearing if: (1) the minor has entered into a valid marriage (whether or not it has been dissolved since); (2) the minor is on active duty in the U.S. armed service; or (3) the minor willingly lives separately and apart from his/her parents or guardian, with the consent of the parents or guardian, and is capable of supporting himself/herself and completely managing his/her own financial affairs. The parents of an emancipated minor will no longer be considered the legal guardians of the child, nor have any obligations regarding school attendance or support obligations. The issue of child emancipation is complicated, and there are many steps and repercussions that should be discussed with your family law attorney. This post just briefly touches on some of the aspects of the process. To learn more about child emancipation in Virginia, please contact lawyers Patricia Tichenor or Camellia Safi at the Law Office of Patricia E. Tichenor, P.L.L.C. We can help explain how the process works, and whether it works for you and your family. Call our office today. When it comes time for disposal or transition of your marital property due to divorce or property inherited by you from a deceased relative, one of the first things you may need to determine is its appraised value, whether for re-sale or buy-out purposes. There are many items to consider within a marital or probate estate, including your financial assets, furniture and household goods, vehicles, and property, and most of the time people say, “I don’t know what it’s worth.” That’s why you need a third-party professional. Often having to determine this information through the turmoil of a divorce or loss of a loved one is too difficult, and, depending on the nature of the asset, it may be best to employ the services of a professional appraiser to help determine the value. Although there may be free web services, it can be risky to rely solely on those alone to determine an accurate value, and, for purposes of a divorce, that type of information may be deemed inadmissible by the judge on grounds of “hearsay” or “speculation,” or “lay person lacking expertise to give the appraisal.” It is also likely you might find multiple values on the web and not have a real idea of the actual value of your specific asset. There are many intricacies such as age, condition and desirability that come into play that are not readily available through an Internet listing. Art, certain kinds of collections (such as rare coins), and even jewelry can be especially vulnerable to value fluctuations. In the case of a death, the executor or administrator generally determines whether to hire an appraiser, and the fees are paid either as a setoff against the proceeds from a liquidated asset (if the appraiser also sells it for the estate) or from the probate account set up by the executor to hold cash assets belonging to the estate. These expenses may be tax deductible to the estate if the probate estate owes any death taxes on the value of estate. The appraiser’s fee is typically based on either an hourly fee or a percentage of the estate if it is to be liquidated by that appraiser. Be cautious when employing an appraiser who wants to both appraise and sell your items, or of one who may undervalue an item simply because they wish to purchase it themselves knowing it can be re-sold later at a higher price. This is a conflict of interest and an unethical practice. Watch also for ones who overvalue items when his or her commission is based on percentage of sales. 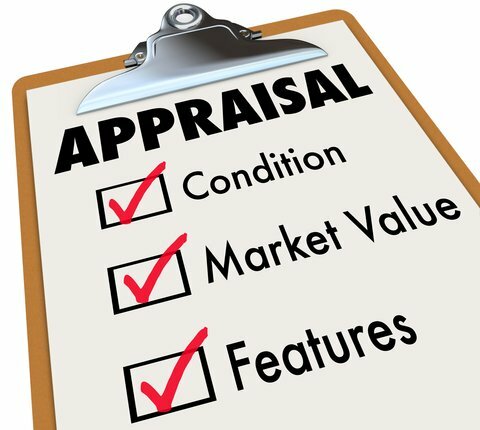 Inform the appraiser as to your particular need for an appraisal. Do you need the entire contents appraised, or only a select group of items? Your appraiser will help to establish the Fair Market Value for your items. In the case of a divorce, seek and follow the guidance of your divorce attorney to determine what assets justify the use of an appraiser or which do not, noting that the most common assets involve real estate, a family-owned business or business interest, and pension/retirement benefits. Your attorney may be able to refer you to a professional property appraiser, or you can check with the professional associations in your area, such as the American Society of Appraisers, the Appraisers Association of America, and the International Society of Appraisers. Appraisers are not required to hold licenses, but, as members of their associations, they are required to conform to a code of ethics and the Uniform Standards of Professional Appraisal Practice, pass tests and take continuing education. Check with these Associations’ records on the appraisers’ backgrounds, looking for any appraisal challenges and their outcomes. Look for an appraiser who has done work similar to yours, and ask for references of people they’ve worked for. Whenever there is a change in your estate, due to a divorce or the death of a loved one, it’s prudent to meet with an experienced family law or estate planning/probate attorney who can help you navigate through any processes and update your records appropriately. At the Law Office of Patricia E. Tichenor, P.L.L.C., Northern Virginia attorneys Patricia Tichenor and Camellia Safi are ready to provide you guidance and legal representation in your divorce, estate planning, or probate matter. Contact us today. If you are considering adopting a child, there are several routes you can take to expand your family. The first step is to decide what type of adoption works best for you. You can opt to adopt through a public or private agency that can facilitate the entire process, from locating birth parents to terminating their parental rights. Or you can adopt privately by making all arrangements directly with the birth parents. Typically, private adoptions include close relative, adult, and step-parent adoptions, which entail a less-complicated procedure than other types of adoptions. Most international adoptions are handled by agencies. Domestic adoptions, on the other hand, can be either done privately or with the assistance of an agency. In Virginia, when adopting a minor child, a prospective adopting parent must be at least 18 years old to adopt, can be married, single or divorced, and must pass a home study to be approved for adoption. A home study is the assessment of the potential adoptive parent(s), performed by a licensed adoption agency. It includes detailed background checks, child protective service clearances, medical, educational, vocational, and other checks and histories, financial checks, and recommendations from non-relatives. 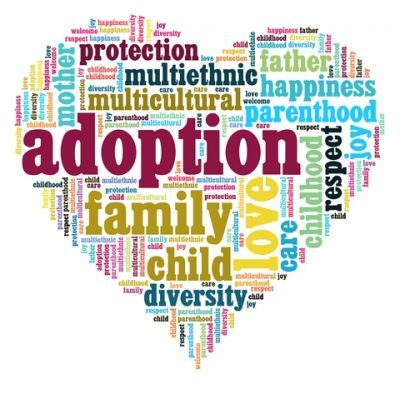 After performing the home study, the agency can recommend whether the potential adoptive parent(s) are suitable to adopt a child, and state the recommended type of adoption (for instance, only infants or only domestic adoptions). In an open adoption, the biological parents and adoptive parents are open to sharing personal information and can stay in contact with each other throughout the child’s life if they choose. In a closed adoption, biological parents and adoptive parents do not have access to each other’s private information, and records may be sealed. There is no interaction between the two families. Relative adoption and stepparent adoption refer to placement of a child in the permanent care of a relatives or stepparent. Minor children can be adopted at any age; however, there is a greater need for parents willing to adopt older children and sibling groups. An adult child (age 18 or older) can also be adopted, by giving his or her own Consent; however, when the adult child is being adopted by a non-relative, some States (including Virginia) have a minimum age difference that must exist between the non-relative adopting parent and the adult child consenting to be adopted. In Virginia, that requirement is currently 15 years, meaning the non-relative adoptive parent must be at least 15 years older than the adult seeking to be adopted. A home study is typically not required for an adult child being adopted by giving his or her consent to that adoption. Children placed in foster care are sometimes adopted by their foster family or through the foster care system, though this is a drawn-out legal process that can require the termination of the natural parents’ parental rights through multiple court-proceedings. Foster care adoptions can be completed through the Department of Social Services in conjunction with such court-proceedings. In Virginia, many special needs children are available for adoption, and Federal and State programs exist to financially help adoptive parents. Children under age 18 who are adopted from a Hague Convention country, and who enter the U.S. with an IH-3 visa may automatically receive U.S. citizenship. Those adopted from non-convention countries must qualify as orphans. Parents finalizing adoptions abroad must apply to the USCIS for an IR-3 visa for their child. In Virginia, most adoptions are completed through an adoption agency or adoption attorney. You do, however, want to consult your family law attorney at the time when you are considering adoption. Your attorney can fill you in on your legal responsibilities, as well as provide helpful information to guide you through the process of adoption through completion. There are also important estate planning considerations to adoption, both for the parent giving up his or her rights if consenting to the adoption of a child, and the adopting parent who might also have natural children who then share any inheritance with their adopted sibling(s). As you can see, there are many consideration and complications involved in adoption. Before you embark on this often overwhelming yet ultimately rewarding journey, consult with an attorney knowledgeable about Virginia’s laws on adoption, like attorneys Patricia Tichenor or Camellia Safi at the Law Office of Patricia E. Tichenor P.L.L.C. This way, you can receive all the necessary legal advice and support you need, and turn your focus to welcoming a child into your life.